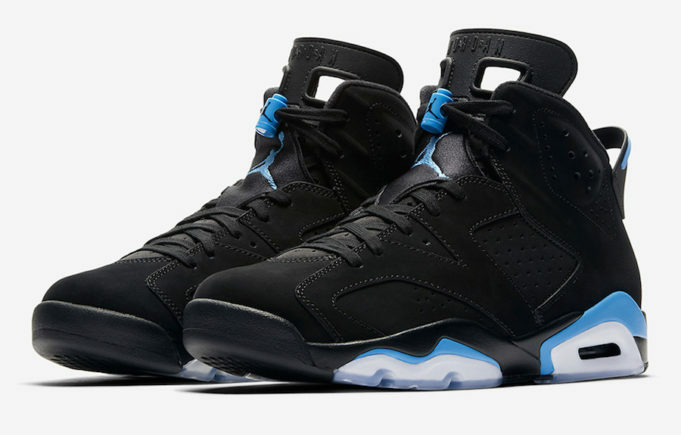 This December, we will see the return of the Air Jordan 6 in Black/UNC colorway. The said colorway will feature a black nubuck upper which keeps everything clean. UNC blue hits on the lace toggle, Jumpman logo in the tongue, heel tab, and sections of the midsole area can be seen here to pay homage to Michael Jordan's college Alma Mater, the University of North Carolina. Underneath is a combination of solid and translucent rubber outsole with the translucent rubber having an icy blue color to it. The whole colorway is simple but eye catching and especially that UNC color is very cool in the eyes. The said color of the Air Jordan 6 retro drops on December 2, 2017 for $190.